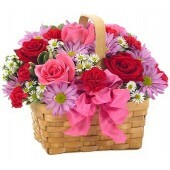 For Loves, Hopes and Wishes; sending gift hamper is a good idea for those purpose. Square box, circle box, heart shape box etc. 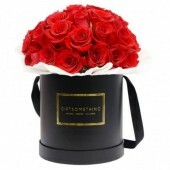 different shape of arrangement can use for different purpose. 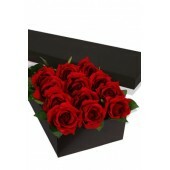 Square and circle arrangement can use for the hoping and wishing, heart shape arrangement can use for the loves. 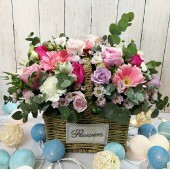 Each arrangement use different flowers like heart shape arrangement will use roses for Loves, square and circle arrangement will use lilies, gerberas, tulips and other seasonal flowers for Hoping and wishes. 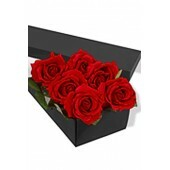 Send a right meaning of arrangement to make sure receiver get the right message from you. 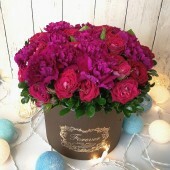 We have enough stock on each color of flowers as all the flowers are fresh which arrival from oversea supplier everyday. 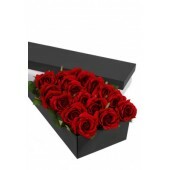 Our flower shop can arrange the same day delivery, so you can place the order online in the same day as well for any event or purpose. 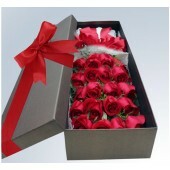 12 Gerberas Presentation Box ..
18 Long Stem Premium Rose Presentation Box ..
24 Long Stem premium Roses Presentation Box ..
12 x Long Stem Premium Rose Presentation Box ..
1 Long Stem Premium Rose Presentation Box ..